I'm not crazy about summer either, since I grew up in sunny California! Now live in the PNW and summer's are cooler. Have to try your recipe! Looks yummy! YUMMO! 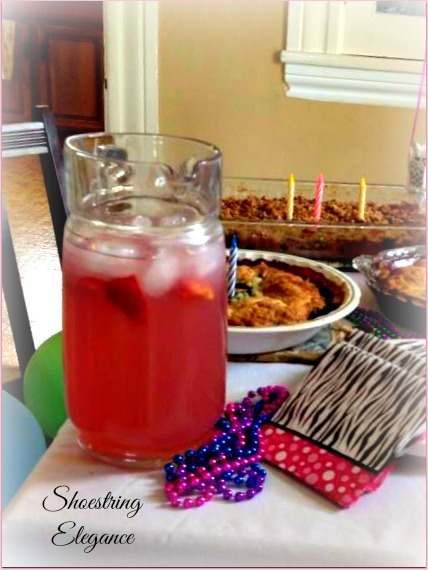 This recipe & the cobbler recipe below has me hungry! They look delicious! Thanks so much, my Friend!! Well, I know you, you'll have no problem with either of these recipes! How wonderful to see your comment, Heather! This looks so good. I was just telling my co-worker how I'd rather drink then eat sometimes. I just love fresh juices, and fruity drinks in the summer when it's hot. These sound really good! Thanks, Elle, I am the same!! I think you'll really enjoy this! This looks delicious. I am so glad it is summer the winter was the worst. Thanks! I think you will like it, Janelle!! I will have to give this special twist a try, it looks so refreshing! Never really gave raspberries a try in lemonade but it does elevate it from casual to fancy. Love it! Thanks for sharing. Thank you so much, Patti! I hope you like it! It changed my view on lemonade altogether! I have always loved lemonade. My mom made it for us when we were kids growing up in Cali. Now I live in Utah and the summers are still hot. I will definitely try this one out. Last summer it was-get this-cucumber & mint limeade. I loved it, but need a change, so bring on the raspberry lemonade! I know exactly what you mean! I was all over the cucumber water!! I still like it, but this is a very pleasant change. Thanks for coming by and leaving me you lovely comment! Thanks, Lory! Yes, I net you would!! I know, it's a case of "the grass is always greener"! Yes, please, I'll take a glass. Looks delicious and very refreshing. I've come to realize that I don't really enjoy either of the "extreme" seasons. I'm very much a warm and cool kinda gal, and I have about a 30-degree temperature comfort zone---from 50 to 80. I need to live in perpetual early fall/mid-to-late spring. While I have never claimed to love cold, I did use to enjoy hot...until hitting age 50. Suddenly, I'm hot enough at 80 degrees! LOL, Thanks for sharing that with me Patti!! I'm with you!! 50-80 sounds just about perfect to me too!! Thanks for coming by and sharing with me! Many Blessings & Happy Pinks! 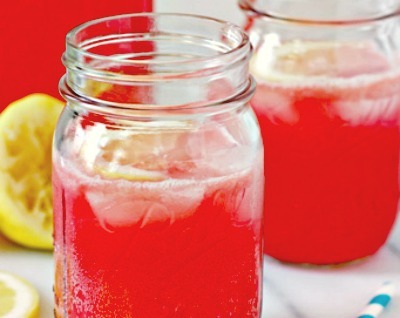 This looks so light and refreshing for summer. Thanks for sharing at Fridays Unfolded! Thanks so much for coming by, Alison! This looks like it would be so much fun to do. I am pinning it so I can try it with my kids, and I am featuring it on the Bloggers Brags Pinterest Party tomorrow on Creative K Kids. Thank you so much, Tammy!! That means the world to me and I think you and your kids will be happy to make this together!! Lemonade is so my summer weakness. This looks so great! Thanks for sharing! Thanks so much for sharing this delicious recipe at the Say G’Day Saturday Linky Party. I’ve given your post a +1. Thanks so much, natasha! Where else would I rather share it!? Thank you. I'm glad you liked it and thankful for the +1!